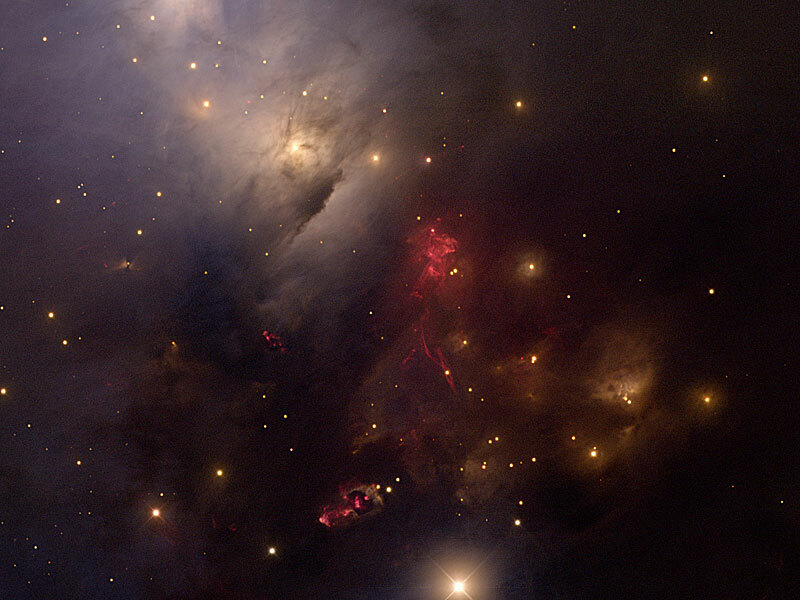 Explanation: The dust is so thick in the center of NGC 1333 that you can hardly see the stars forming. 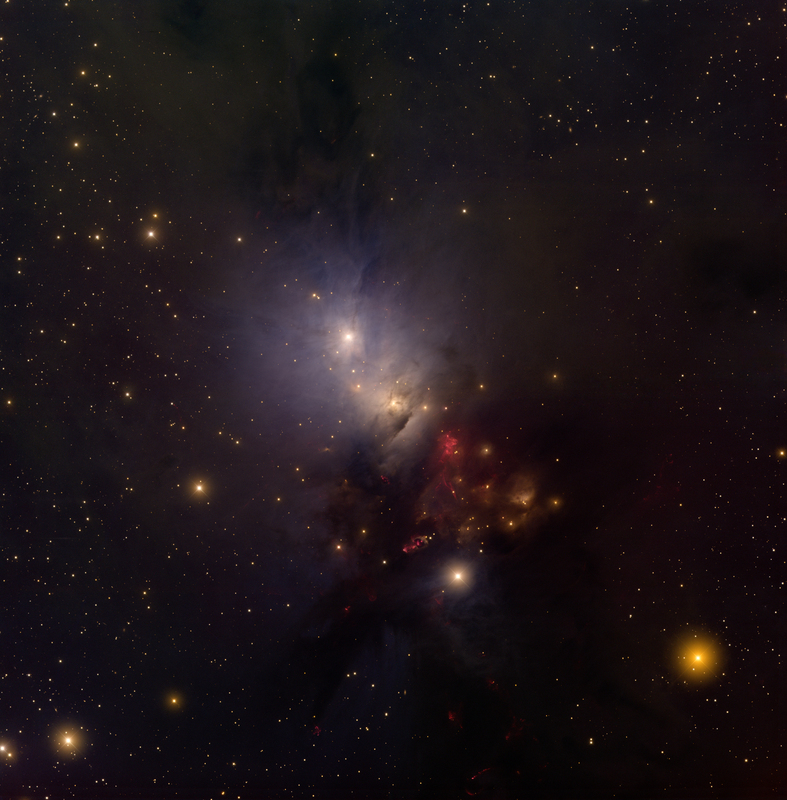 Conversely, the very dust clouds that hide the stars also reflects their optical light, giving NGC 1333's predominantly blue glow the general designation of a reflection nebula. A highly detailed image of the nebula, shown above, was taken recently by the Mayall 4-meter telescope on Kitt Peak in Arizona, USA and released to honor astronomer Stephen Strom on his retirement. Visible near the image top are vast blue regions of dust predominantly reflecting the light from bright massive stars. Visible in the thick central dust are not only newly formed stars but red jets and red-glowing gas energized by the light and winds from recently formed young stars. The NGC 1333 nebula contains hundreds of newly formed stars that are less than one million years old. Reflection nebula NGC 1333 lies about 1,000 light years away toward the constellation of Perseus.